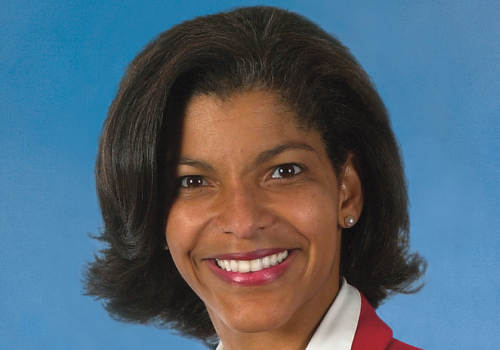 The highest ranking African American woman at General Mills, says a “commitment to diversity, thoughtful maternity policies” and a focus on integrity have kept her at the company for 24 years. She’s been a corporate officer at the $16.7 billion Minnesota based company since 2000. Prior to her current role, when she was president of General Mills Snacks Unlimited, she ran the brands on your kitchen table — Cheerios, Nature Valley, Yoplait, Old El Paso; the list goes on. Named one of the most powerful women in business with a reputation to match, Nelson currently oversees the company’s global relationships. Responsibilities include corporate communications, government relations, sustainability and the General Mills Foundation. With more than 22 years running business units, the Columbia University MBA tells Little PINK Book what it’s like to run a $1.3 billion P&L while raising two daughters, how she advocates for women and how the worst day of her career became her proudest moment. 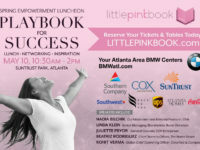 Little PINK Book: How hard is it to lead with integrity when decisions aren’t popular? Kim Nelson: I was a newly minted division president, not wanting to fail … Shortly after getting into the job I realized our biggest new product launch, Pop Secret popcorn had a problem. The crispy glaze heated up and if you opened it wrong, people were getting burned. This was occurring at a rate so low it didn’t show up in testing. Popcorn is supposed to be fun. We’re not supposed to be burning people. Even a small percentage of something really bad happening [wasn’t acceptable] — we had to pull out. I had to tell the COO I needed to recall the product. The decision would make it impossible to meet my numbers. When I took the job the CEO said something like, “just don’t break it”. This decision cost tens of millions of dollars. It was the worst day of my career. That year we didn’t make a profit. I had no idea this would become one of my proudest decisions. I was proud of the way my team rallied around it. LPB: What’s your secret to succes? KN: Speak the truth to my teams, even when it’s uncomfortable. And lead with integrity. LPB: With so few women in key roles, how did you get the job? KN: I had a strong mentoring relationship with my predecessor in my current role. Her support and encouragement were critical. [But], the most important enabler to my advancement was my performance in my previous role. Performance is the currency of one’s career. LPB: What did you do to prove yourself? KN: One of the early risks I took was repositioning the, then, second largest cereal brand in the company, Honey Nut Cheerios. Reformulating the product to claim cholesterol reduction seems like a no-brainer now. But, at the time, it was unthinkable. [We took] what was essentially a kid cereal and marketed it to adults with a heart health benefit. Honey Nut Cheerios is now larger than yellow box Cheerios. LPB: What’s your biggest weakness? KN: Talking when I should be listening. You can’t learn while you’re talking. LPB: How do you cultivate so much support internally? KN: I believe in forming authentic, enduring connections with people I work with. Getting to know them and understanding their career goals and what is meaningful to them in life. This is how I build trust. The presidents of the Baking, Meals, Yogurt and Organic food divisions are good personal friends. [We] all go through the same challenges of running a business and juggling the demands of work and family. It’s nice to have a safe place to let your guard down and commiserate or share advice. LPB: Tell us about your extended leave of absence. KN: In 1997, I took an 18 month leave to process the news that I supposedly was not going to be able to have children. As I was negotiating my way back into the company, I got pregnant! The company took the situation in stride. After Sammie was born they gave me three months maternity leave followed by six months of working part time. [That’s when] the Cheerios desk became available. The company asked if I wanted a promotion to Vice President, so I knew I wanted to go for it! When I came back I found out I was pregnant again. With my second child, I took an eight month maternity leave knowing she would be my last. General Mills earned my loyalty. LPB: That sounds like a long time. KN: Corporate America needs to understand that the time we’re having our babies isn’t very long. These companies have already recruited you, trained and developed you. Why wouldn’t they want to accommodate you for the four to six years out of your 30 year career? I’m going on 25 years. That leave is very short if you look at the span of my career. That’s what General Mills does right. LPB: Was it hard to let yourself take that much time off? KN: When I finally came back, I was ready to give 120 percent. These jobs are demanding. It’s not easy but it’s what I wanted. I have my family and my kids. It’s what I still want and it’s very rich. I have the good fortune to work for a company that worked with me to create a professional life that’s livable. LPB: You’ve just returned from Davos. How do you stay connected with Samantha (13) and Taylor (11) despite the hectic work and travel schedule? KN: If I’m traveling I sometimes write love letters to the girls. I put the letters downstairs where they sit for breakfast. I also tuck them into backpacks where I know they’ll discover them. I like to spend two hours, not running them around to soccer and lacrosse practice, but just being together working on a puzzle. The small moments of intimacy, that’s where I get the most joy. I get most of my joy in life from the mom part. That gives me energy. LPB: What about personal time? KN: On a good week, I get on the treadmill every day at 5:30 to 6AM, then do some strength training. If I miss that window I won’t exercise that day. LPB: Other women at the company say they feel like, if you can do it, they can too. How do you manage? KN: Any woman will tell you I have spectacular support. Stafford has been a stay at home dad for 10 years now. He’s chosen to do it. I like it. He likes it. LPB: You have chaired the Minneapolis YWCA board, are a founding member of General Mills’ Black Champions Network and Women in Marketing Network. Why is this important? KN: I see my purpose as being here to make a positive difference in the lives of others. When we launched the women’s network we had one female division president. Today there are four. Women are now running more units in our U.S. business than men. KN: A critical journey in my career was learning how to take failure in stride and not let it undermine my confidence. My greatest obstacle has been quieting my own internal voices of doubt and uncertainty. If we don’t build this muscle, we’re doomed to mediocrity. We need to be willing to take risks and not be so afraid to fail. Failure is inevitable. KN: My parents. They worked hard their entire lives. My father and mother were both teachers, committed to serving others. They had a killer work ethic. They convinced me at an early age, that despite being this little black kid from Hawaii, I could do whatever I wanted in life if I was willing to work hard and prepare. LPB: Is it true you went to school with President Obama? KN: Punahou School. He’s class of ’79 and I was class of ’80. I really didn’t know him at the time! LPB: What are you reading? KN: Abundance by Peter Diamandis, on the emerging technologies that will change our lives. KN: For me it’s making a contribution that matters — professionally, a material contribution to the organization; [personally], being a mom who is present; and, socially, being active in the community. If I can keep those three balls in the air I feel really good. And that happens most of the time. It’s what I do.